Philosophies of government clash with the proposed sale of lands along the Hamakua Coast. The decades old debate was renewed in 2009 when the newly elected Mayor Billy Kenoi planned to sell the lands, owned by the county, to balance a challenging 2009-2010 county budget. The decision became a local controversy, and stirred sovereignty claims of clouded title. The debacle came to define the political division between the Kenoi administration and then 5-term Hamakua councilman Dominic Yagong. The planned sale became an early challenge for Kenoi, who would later alter his approach to the lands, as the timeline shows. The lands were eventually taken off the market, and instead various agricultural developments began to take shape. One of the first questions from the press after Mayor Billy Kenoi’s budget presentation to the media was about the proposed sale of Hamakua lands, intended to help close the 2009-2010 budget gap. Kenoi planned to sell all or part of the 3,400 acres of former Hamakua Sugar plantation property that was taken over by the county in lieu of back taxes in 1992. The county valued the lands at $8.2 million. Hamakua Councilman Dominic Yagong talks about the negative recommendation from the County Council’s Finance Committee given to Bill 132, which would have required the administration to identify potential buyers for public land being sold that is larger than 10 acres or valued at more than $500,000. 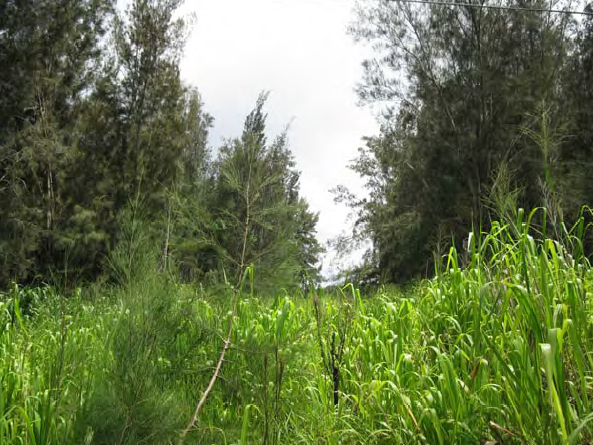 Although the Bill did not specifically address the sale of the Hamamkua lands in order to balance the county budget, many at the meeting saw the connection. Mayor Billy Kenoi said he would have vetoed the bill if passed, and discouraged its approval in an earlier press conference. A newly established council majority stamped the bill “no” after a narrow 4-3 vote. The bill would not pass the full council. During a talk story meeting in Waimea, Mayor Billy Kenoi found himself face to face with a few vocal critics of his plan to sell the Hamakua lands. The mayor answered the questions, and things remained civil, at least until the very end of the meeting when land sale opponent Gene Tamashiro got into a heated argument with Kenoi over the issue. Native Hawaiians and sovereignty activists testified before the Hawaii County Council Finance Committee, as the resolution authorizing the sale of county land in Hamakua was heard. Records suggesting alternate title transactions and alleged falsified documents were produced for the committee to review. Title Guaranty Company of Hawaii, Inc., which researched the ownership issue for the county, said the title is clear: the land is owned by the County of Hawaii. Towards the end of the public testimony, native passion boiled over, and tempers began to flare. The County Council’s Finance Committee, struggling with the quandary of who has “legal” title over the Hamakua lands proposed for sale, voted 5-4 to authorize the sale of the land to help balance the Hawaii County government budget. The resolution would later go on to pass the full council. About a dozen leaders and activist in the Hawaiian community – with Albert Kahiwahiwaokalani Ha’a Jr at the front – met with the county’s deputy corporation counsel, Gerald Takase, property manager Kenneth VanBergen and Title Guaranty Co. researcher Colleen Uahinui – face to face – in the county council chambers in Hilo to discuss the proposed Hamakua land sale. The meeting was held at the urging of some councilmembers who believe the claims of the Hawaiians, regardless of the validity, will halt the sale, creating a budget deficit for the fiscal year. The meeting, primarily moderated by activist Shelley Stephens, gave the Native Hawaiians a chance to literally sit at the table with the county, and present their documents that they say prove their case. At many points in the meeting, tensions rose as the groups disagreed over the interpretations of history. At one point, an impassioned Noelani Mason did as her “tutu told her” and chanted an oli on the very table where the two sides met. In November, amidst a storm of controversy over a plan to sell county owned lands in order to balance the budget, Mayor Billy Kenoi announced a commitment to make 1,739 acres of the Kapulena land available for community-based agriculture. Leaders and farmers in the Hamakua region went on a field trip in late December – the first group examination of the project. State Senator Dwight Takamine, State Rep. Mark Nakashima, and members of the County Farm Bureau (among others) joined the mayor in a brainstorm over what sort of approach would be best for the project. Discussions included ideas on what type of crops would be best suited for the land, infrastructure needs, and community involvement. The gathering was mostly intended as an opportunity for interested parties to see the lands first hand. The county says uses of the Kapulena lands could range from community gardens to larger-scale ranching and commercial production of crops to educational programs that will encourage youth to enter agricultural fields. The project would be the largest of its kind in the state, dwarfing the next largest state-run agricultural park in Molokai by a thousand acres. In May 2010, the administration cancelled the controversial Hamakua land sale. The announcement came after the county received no offers at two of the three public bid openings. The third sealed bid opening was cancelled, and the plan was to have all the parcels available for one, last “catch-all” auction on May 24th. The county completed the environmental assessment for the Koholalele parcel in Paauilo despite the change in plans. Big Island Video News takes a look at the progress being made at the planned community agriculture project on former Kapulena sugar lands. At this point in time, the Hamakua parcels were off the market, and the mayor hoped Kapulena would become a model of sustainable agriculture on Hawaii Island. The project was being paid for with $100,000 in county Research & Development Department funds and the use of county work crews. Hamakua Councilman and County Council Chair Dominic Yagong introduced legislation in March 2011 putting the 739 acres of land in the vicinity of Paauilo to use, without letting them be sold. The County received no bids for any of these properties when the attempt to sell the land was made in 2010. The proposed Kapulena Agriculture project is an altogether different community farming project, spearheaded by Mayor Billy Kenoi’s administration.